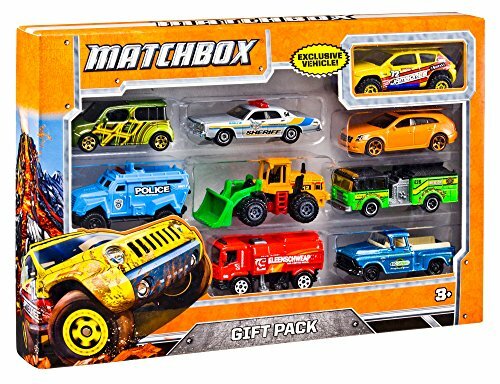 The gift pack assortment includes a variety of Matchbox vehicles to keep kids entertained! Each pack comes with an exclusive vehicle featuring decos you won't find anywhere else in the entire Matchbox line! Nine stunning cars are in every set. Collect all the sets and showcase the ultimate fleet! Each pack sold separately, subject to availability. Not for use with some Matchbox sets. Colors and decorations may vary.